The hottest beauty trends according to vogue.uk. This year, gender equality has been at the forefront of conversation. The message of female strength was manifested through powerful red lips, don’t-mess-with-me-hairstyles and punk-inspired eyeliner on the autumn/winter 2018 catwalks. This season’s woman is not afraid to make a statement with her beauty. Sixties-inspired lashes heralded the return of mascara, whilst the glitter-heavy make-up at Giambattista Valli and Preen is here to stay. Discover autumn/winter 2018’s key beauty trends on the below gallery. 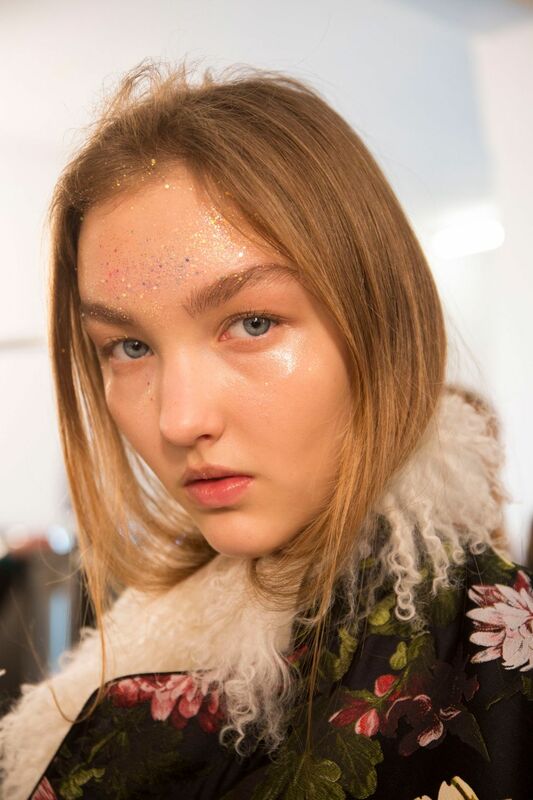 Val Garland was the master of the trend, creating shimmering foreheads at Preen by Thornton Bregazzi and full faces of glitter at Giambattista Valli, whilst Vogue beauty editor-at-large Pat McGrath set Instagram alight with the oil-slick glitter lips at Maison Martin Margiela. 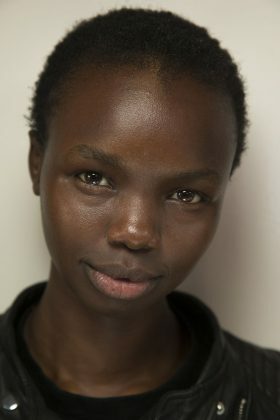 For a more subtle take on the trend, look to the gold-smattered cheekbones created by Tom Pecheux at Chanel. A rebel spirit permeated all four fashion weeks, and manifested itself in punk-inspired eye make-up at Miu Miu, Ashley Williams and Dior, the latter of which was inspired by the youth revolts of 1968. Meanwhile at Max Mara, Tom Pecheux described the dramatic smoky eyes as "glam punk", whilst Sam McKnight was inspired by the post-punk era in Eighties London when styling the hair. 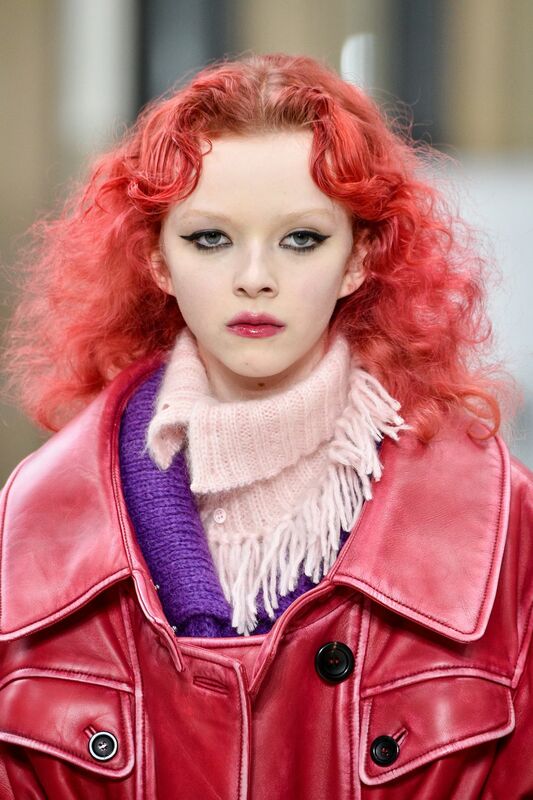 British colourist Josh Wood dyed model Ez's hair rich garnet at Alexander Wang, created a custom scarlet hue for Songhwa Oh to close the show at Marc Jacobs and made over a handful of the models at Miu Miu with a dramatic cherry hue. If you've ever considered a bold colour change but not quite had the nerve, the time is now. With many designers drawing from the amplified conversation around women's empowerment to inform their collections, it's no surprise that there was an array of powerful red lips on show too. Scarlet pouts made a bold statement at Brandon Maxwell, Rochas and Alexander McQueen, whilst the rouge hue at Erdem was inspired by the designer's mother. This might be autumn make-up, but that doesn't mean it's without a bold bolt of colour. Paintbox-bright eyeshadow was on show at Marni, Sies Marjan and Prada, whilst eyeliner was applied to colour-match the yellow, pink and red sunglasses at Dior. Special mention goes to hot pink, yellow and green - the hues which cropped up most frequently backstage. Skin is forever in, but this season it's all about the prep. Rather than reaching for a host of heavy foundations, concealers and powders, make-up artists instead spent time layering moisturisers, primers and strobe creams to give a truly healthy radiance to models' complexion. 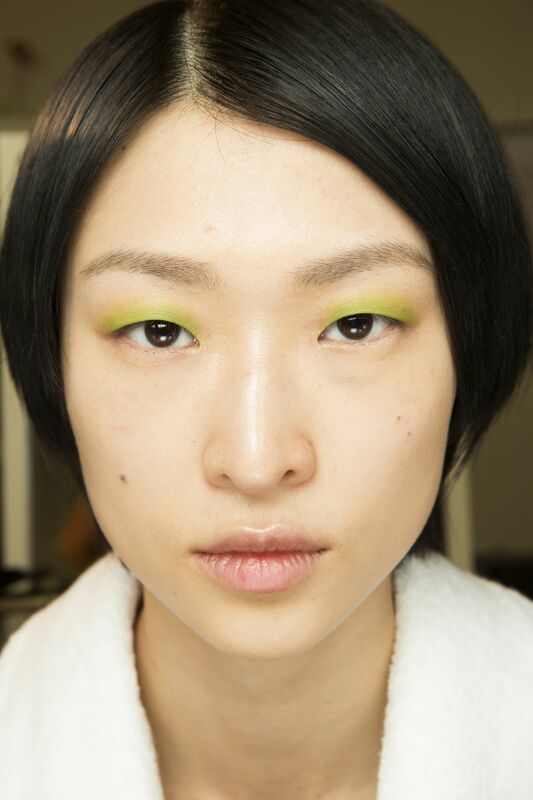 Perfectly prepped skin with only the subtlest of extra tweaks was on show at the likes of Roksanda, Lanvin, Christopher Kane and Michael Kors, the latter of which relied upon little more than concealer when it came to make-up. Topknots at Chanel, twists at Philosophy and casual chignons at Merchant Archive - knots were the go-to up-do for hairstylists backstage at the autumn/winter 2018 shows. "The blow-dry is back," proclaimed hairstylist Anthony Turner backstage in New York, successfully predicting four weeks of shows where glossy, high-maintenance styles ruled the catwalk. Consider Vogue contributing beauty editor Sam McKnight's side-parted waves at Balmain, his flawlessly-finished styles at Fendi and James Pecis's just-so waves at Derek Lam. If there's ever been a time to invest in a Dyson dryer, it's now. For autumn/winter 2018, if you're going to wear mascara, wear a lot of it. Fluttering lashes were the focus of the ultra-feminine beauty looks at Givenchy, Valentino and David Koma, whilst more literal takes on the classic Sixties eye were seen backstage at Moschino and Anna Sui. Pair with glowing skin and a dab of lip balm to keep the look modern. Makeup Revolution Launches Blood of My Enemies Highlighters and They are Insane!